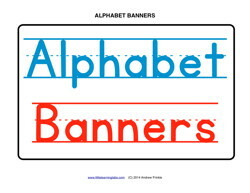 Make a 12 foot long banner with all the letters of the alphabet. These pages feature 2 letters each, with Upper and Lower Cases. Each letter pair has a box beneath them to draw a picture of something that starts with that letter. 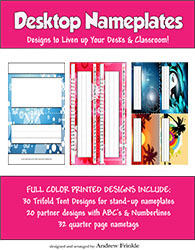 This is a free sample of my Desktop Nameplates book! 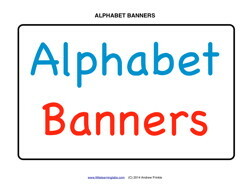 Get 30 Trifold standing nametags, 20 pairs of flat nametags, and 32 quarter page nametags if you get the whole set on amazon! 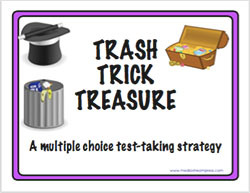 Get this test-taking strategies book!